Capture those who search for your products or services on a national level. 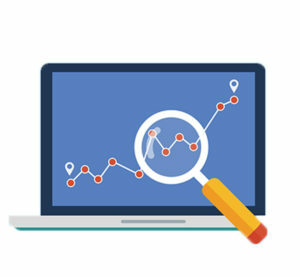 The majority of businesses, particularly small businesses, will require local SEO. But in the digital age, where it’s become much easier to sell your products over the Internet via your website, we’re increasingly finding that businesses are in need of national SEO. For example, let’s say you specialise in promotional merchandise and you send products all over the U.K. No one would search for ‘promotional merchandise, Blackpool,’ instead they would search for ‘promotional merchandise’. In order to target these kinds of keywords, you’ll need SEO. Keyword research is a particularly important part to national SEO. It is the foundation that makes up everything we do. We will look at what kinds of words and phrases your potential customers are search for. With local SEO, you can take some pretty good guesses, but national SEO keyword research always comes up with all sorts of surprises! We will go through your website and make little tweaks and edits to the format, function and copy. Don’t worry, we will get your consent before we make major changes. Essentially, what we’re doing is making your website as appealing as it can be to search engines like Google. This is an important element to national SEO, which makes it somewhat different to local SEO. Content marketing, online PR, social media…the list is endless! We’ll work on building an effective off-site SEO strategy that enhances your online reputation, and tells the search engines that your site is trustworthy and informative. To find out more about how we can get more targeted traffic to your website from the search engines, just get in touch with us here.